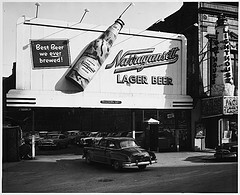 Here are links to some web sites with photos of Scollay Square during and after its heyday. Please, if you know of any others, send me an email! Institute Archives, offer access to a wide range of materials, both print and electronic. The link above takes you to their fantastic collection of Scollay Square photos. 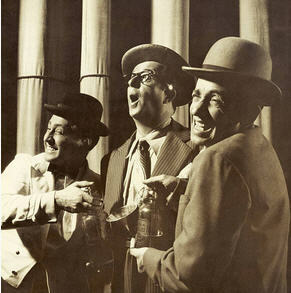 City, published in 1960. Part of the collection focused (no pun intended) on Scollay Square. 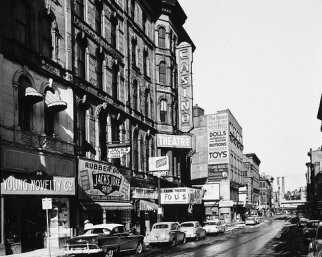 during the urban renewal era, including some of Scollay Square. has posted some FANTASTIC photographs of old Boston, including Scollay Square. above will take you to a sample of some Scollay Square images. Click HERE to go to the L.O.C. home page. all indexed, cross-referenced, and easily search-able. Wow.